Roo loves our Netflix subscription, and if I’m honest she possibly makes more use of out than the rest of us. Whilst I often turn back to the same films and dramas, she will be searching through her lists to see what’s new and catches her eye. Project MC2 was one of the programmes that caught her eye and has been a favourite of hers ever since. I have to confess that I quite like her watching the show as there is much more to it than some of the superficial things she has watched in the past. Alongside the Netflix Original series, there is also a range of Project MC2 dolls and accessories. 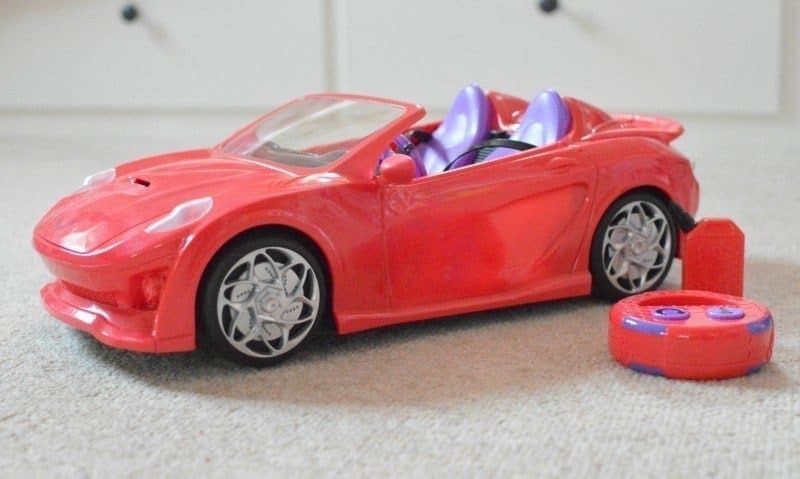 With her pocket money saved for new dolls to be added to her collection, you can imagine her delight at being sent the Project MC2 H2O Remote Control Car to review. Powered by S.T.E.A.M, you can steer around this H20-powered car, just like in the Netflix Original Series, Project Mc2! 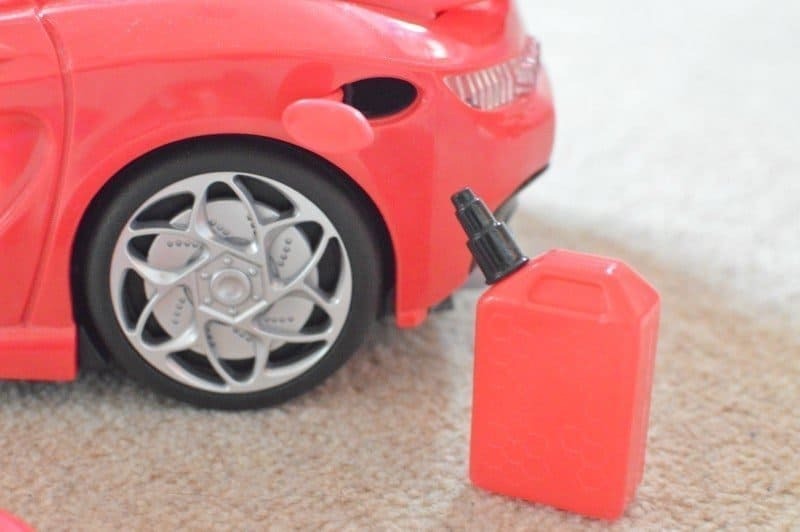 Tailpipes feature red LED lights and emit real steam! Working headlights, hood, and fuel tank cover that open, side mirrors that swivel, A.D.I.S.N. emoji decal and more! 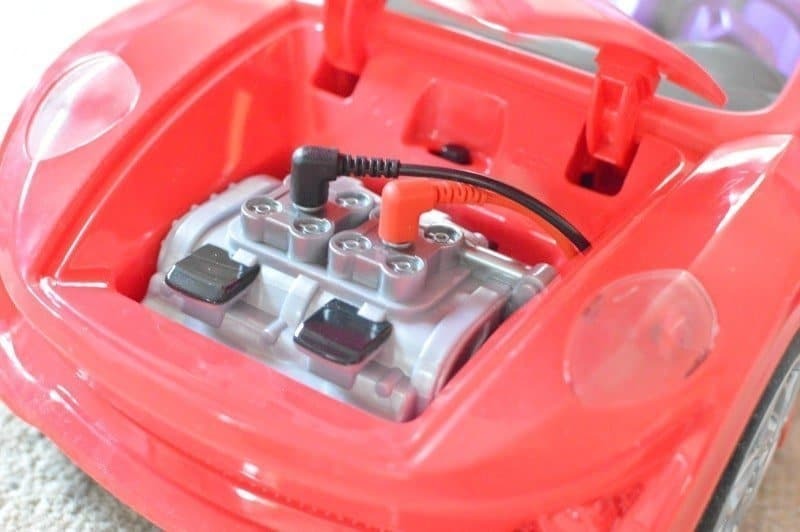 The Project MC2 H2O remote controlled car requires 6x AA batteries within the main car and a further 2x batteries in the controller. To operate you fill up the ‘gas tank’ with H2O (water) using the ‘gas can’ provided which we struggled to fill fully so took more than the recommended 4 cans to fill the tank. Once the gas cap is closed the headlights will illuminate and you’re ready for action. 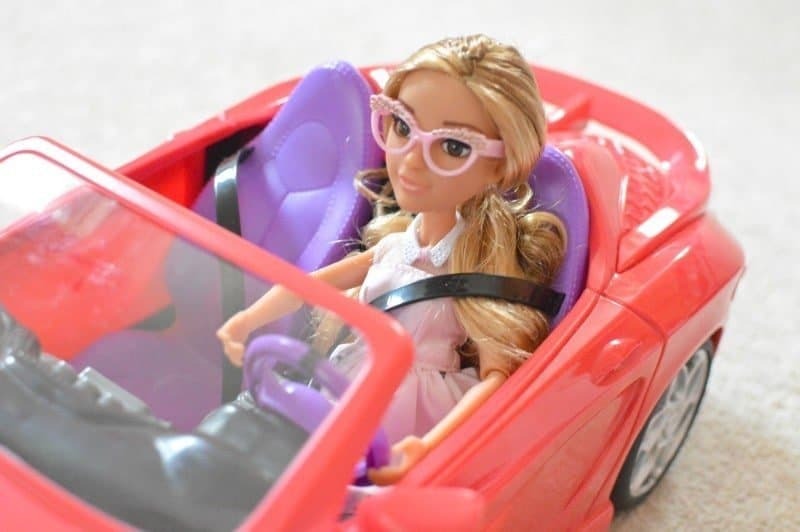 Pop in your favourite Project MC2 characters and head off for a drive using the controller. As they drive around you will see cool steam appear from the exhaust pipe. The Project MC2 H2O Remote Control Car is priced at RRP £59.99 and is available from Amazon and all other good toy retailers. The Project MC2 H2O car is a big purchase accessory. it’s not one that you will buy on a whim or that your child is likely to save up for. It is an item that will be wrapped for birthdays or Christmas and as such it has big expectations set against it. As a parent, I was disappointed to see that the playset required 8x AA batteries in order to operate when the advertising we had seen for it focused that it ran on H2O. That being said the batteries have lasted quite a while and both Roo and Tigger love filling the ‘gas tank’ up with water and whizzing the car around the playroom. So from a child’s perspective, it is a great car, you do need to make sure that all the connections are in tightly before the headlights will come on but other than it is a fun addition to the range.